To find out which vaccines for adults you or a loved one may need, the CDC has developed a quiz. As always, discuss any vaccine questions or concerns with a health care provider. Here are some tips on how to effectively communicate with your parent’s doctor. Influenza and pneumonia combined are the seventh leading cause of death in adults 65 years of age and older in the U.S. Adults 65 and older typically account for between 50 and 60 percent of flu-related hospitalizations and almost all (90 percent) of flu-related deaths. The 2014-2015 flu season recorded the highest hospitalization rates among people 65 years of age and older in recent history. Those with chronic health conditions such as diabetes or heart disease are at an even higher risk for flu-related complications. The good news is the CDC says this year’s flu vaccine should be more effective than last year’s. Options include the traditional shot, a nasal spray, a high-dose version for seniors and even a needle-free injection for the squeamish. 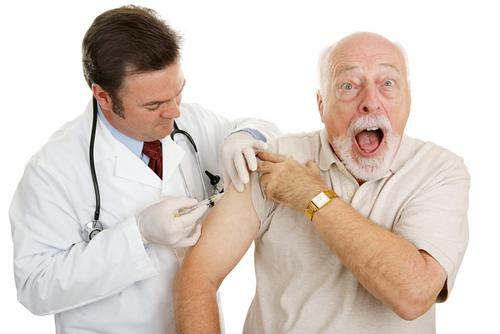 Vaccines are just one aspect of healthy living for older adults. ComForCare/At Your Side can help elderly loved ones with meal preparation, medication services and transportation to doctor appointments to get vaccinated. Contact us to learn more about our services.